Che Guevara Lynch is a legend in several countries. A traveller and nomad, explorer, hero, villain, liberator, oppressor, killer, politician, and icon. He's also one of the most famous Irish-Argentine personalities along with William Brown, the Irish founder of the Argentine Navy. Guevara is well known for being a leading figure in the Cuban Revolution in the late 1950s as Communist ideals spread through the island nation 90 miles south of Florida. After the Cuban Revolution, Guevara headed to South America as a guerrilla leader who tried to topple several governments there. To understand the man’s revolutionary tactics, we must go back a few generations to study Che Guevara's Irish rootsIrish roots and family in Argentina. 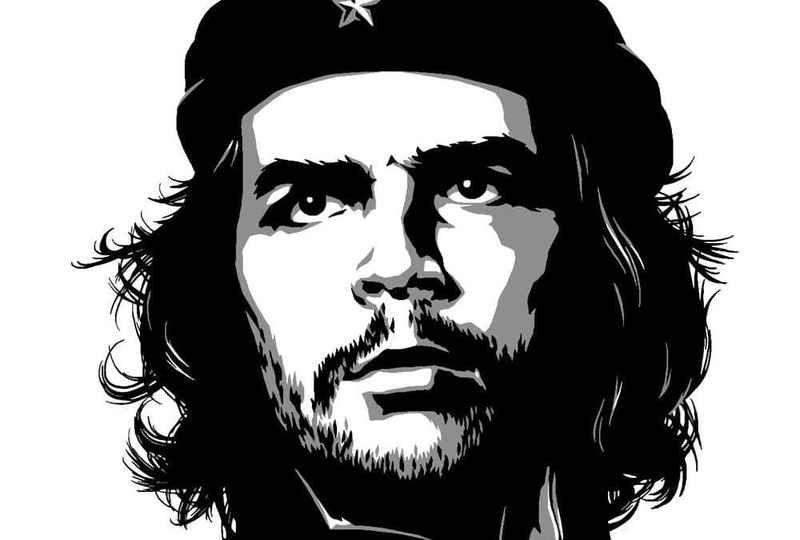 8 How Did Che Guevara Influence History? 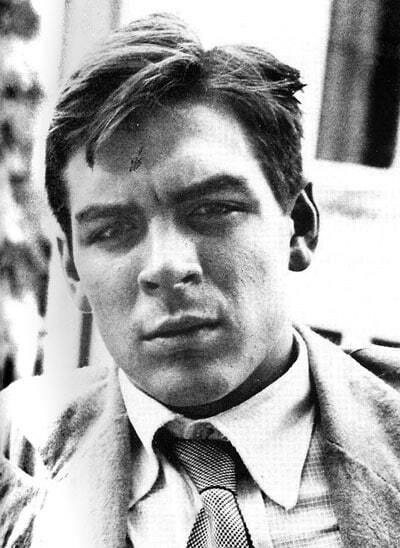 Che Guevara’s major influence was felt in the mid-1950s in Latin America. However, his family came to this part of the world much earlier and for very specific reasons. Patrick Lynch, one of Guevara’s distant ancestors, settled in Argentina in the mid-1700s. His arrival in the New World might not have been the happiest, but Lynch made a name for himself by doing things his own way with an independent spirit. This same spirit seemed to pass to future generations, including to his great-great-great-great-grandson, the Argentine revolutionary who set his continent on its head. Lynch’s father was Capt. Patrick Lynch of Lydican Castle and his mother was Agnes Blake. The Lynches and Blakes comprised two of the 14 tribes who settled Galway, Ireland, back in the mid-13th century. These 14 families controlled life in Galway, in western Ireland, for more than 600 years until the 1800s. The Lynches suffered at the hands of English revolutionary Oliver Cromwell, the man who overthrew the monarchy and instituted his own control of England for several years. William of Orange also didn’t favour the Lynches, so members of the family fled Ireland in fear of their lives. That’s why Patrick Lynch went to Spain in the 1740s where he rose to the rank of royal representative and captain of “militias” that went overseas. Lynch sailed to Argentina and arrived as a wealthy landowner in Rio de la Plata. In 1749, he married Rosa de Galayn y de la Camara, a wealthy Spanish heiress. From this moment forward, the Lynch became an indelible part of Argentina after leaving his ancestral homeland behind. Patrick Lynch’s eldest son, Justo Pastor Lynch, followed in his father’s footsteps as a royal representative and a captain, and he also became a customs official. Patrick, or Patricio, Lynch was Patrick Lynch’s grandson who set up a major shipping company in Argentina. Benito Lynch, another grandson, returned to his European roots and fought at the Battle of Trafalgar off the coast of Spain in 1805. Francisco Lynch, one of Patrick’s great-grandsons and a great-grandfather of Che, fought in the War for Independence against Spain in the mid-1800s. These early ancestors, as part of Che Guevara’s Irish descent, helped set the stage for one of the 20th century’s most controversial revolutionary figures. Successive generations became writers, novelists, and storytellers who idolized Argentine culture while maintaining the last name of Lynch. Benito Lynch wrote more than 100 short stories relating to magical realism, or types of stories that blended the real world with a magical realm in seamless beauty. A distant cousin of Che’s, Adolfo Bioy Casares, frequently collaborated with Argentina’s most famous author, Jorge Luis Borges, to take magical realism to the next level. Magical realists in Argentina can trace their origins back to Ireland, where the people see man’s relationship with nature and God as inexorably linked. Even though several men in Che’s family made history in South America by participating in politics, the military, and literature, these people never could shed their Irish identity even as they embraced their adoptive homeland. The Lynch family had a similar, magical relationship with Argentina. Patrick Lynch had to tame the land when he first arrived. Future generations had to tame their own needs and wanderlust as they tried to make lives for themselves. 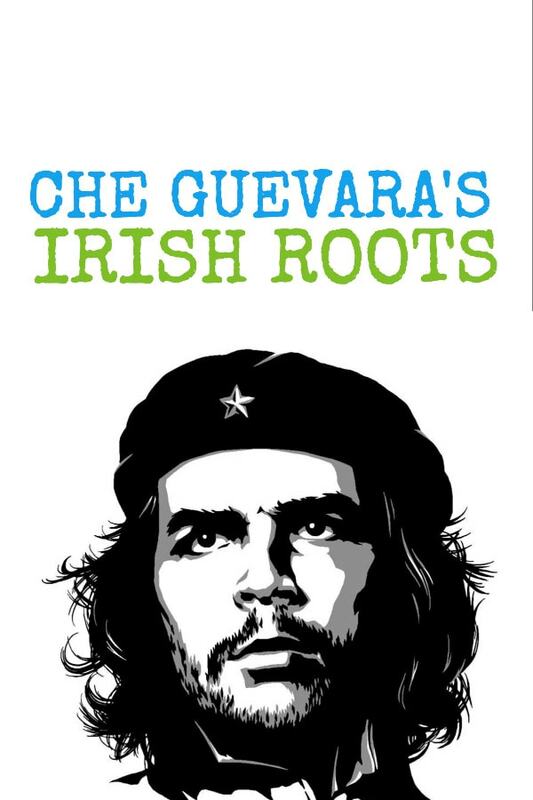 Much like the Irish diaspora, or the 70 million people around the world of Irish descent who don’t live in Ireland, Che Guevara’s family found themselves between two worlds. Soldiers fought for their own ideals and for the ideals of their country. Writers blended the real world and the fantastic as they took readers on a journey between two realms. It was into this family that Che was born in 1928. To explain Che’s ideals we first needed to explore from where he received his core beliefs. Che’s family fostered his quiet love of Ireland, even though the revolutionary spent just one day of his entire life in Ireland. It was an extraordinary day that only forces of nature could arrange, much in the same spirit of Ireland itself. A Havana-bound Aeroflot flight from Moscow was sidelined by fog at Shannon airport. The plane stopped to refuel, but it couldn’t take off due to the fog. Jim Fitzpatrick, an artist and long-time resident of Kilkee, remembers encountering Che Guevara as the revolutionary and his team spent the day in the seaside town awaiting the clearance to take off. It was a Sunday in the summer of 1961. Fitzpatrick was 16 at the time, and he remembers watching news about the Cuban Revolution a few years before. Fitzpatrick recalled the footage of tanks rolling into Havana, and the revolutionaries with their beards. Some of the footage showed Che Guevara. Teenagers his age idolized Che’s revolution half a world away in Ireland, partially because of the history of Irish rebellions against the English and also because of the support for the Irish Republican Army. As Fate would have it, Fitzpatrick was working the bar at Royal Marine Hotel in Kilkee that sunny Sunday morning when Che Guevara and two of his compatriots walked in through the swinging double doors. Fitzpatrick recognized the revolutionary immediately and started conversing with him. He couldn’t believe that Che Guevara was in Ireland. The first English words out of Che Guevara’s mouth were, according to Fitzpatrick, “You know I’m Irish. My father was Guevara Lynch.” Fitzpatrick had no idea that the Argentine’s family traced its ancestry back to Ireland. The revolutionary knew that his grandmother was Irish, and his great-grandmother Isabel coming from Galway, was proudly offered as proof of Irish-ness. The two men spoke for a few more minutes. During the encounter, Che drank some Irish whiskey rather than the Cuban rum he was used to while he conversed with Fitzpatrick. The former barkeep explained that Che said he was proud of his Irish ancestry and Irish connection. Che intoned that the Irish brought down the British Empire. Guevara referred to the Irish War of Independence, fought from 1919 to 1921. Although not a formal war, Irish citizens waged a guerrilla war against British troops sent to the island to crush any thoughts of an Irish Free State. Following the independence of Ireland, Britain’s hold on its final colonies collapsed after World War II, when India and colonies in Africa became independent. In truth, several colonies began to break away from Britain beginning in the 1860s with the Canadian Confederation. However, the Irish War of Independence proved that Great Britain couldn’t even take care of its own backyard. Despite Che’s boast about Ireland bringing down the British Empire, his revolutionary spirit has hundreds of years of family history behind it. His Irish ancestors stood up to Britain until Cromwell kicked them out of the country. Then, other ancestors stood up to Spanish rule of the New World. For Che Guevara, being a part of the Cuban Revolution alongside Fidel Castro was a natural fit. Che’s biographer, Jon Lee Andersen, wrote that Che studied James Joyce when he was younger. Guevara kept a philosophy journal in which he kept his notes and thoughts. The idea of an Irish rebel very much appealed to a young Che. Tales he heard from his father spoke of relatives who led the Argentine rebellion against Spain. Irish independence occurred shortly before Che’s birth, almost as if the rebellion symbolically gave birth to Che a few years later. In death, Che’s legend grew as a man who simply wouldn’t rest until his people were free. It wasn’t until 50 years after Che’s time in Ireland that some people in his ancestral home attempted to honour the man who visited Kilkee in 1961. From Sept. 30 to Oct 2, 2011, Kilkee celebrated the 50th anniversary of Che Guevara in Ireland with the Che do Bheatha festival. The Cuban ambassador to Ireland, Teresita Trujillo, opened the festival. Attendees watched the film “Motorcycle Diaries” while listening to Cuban bands and an Irish salsa act. People ate tapas and danced until late into the night while sampling Cuban artwork at a local hotel. The festival became a yearly event after the 50th-anniversary celebration. Kilkee celebrates the life, times and rebellion of Che Guevara for three days in the early fall as a way to mark Ireland’s rebellious spirit. One man decided that a permanent memorial to Che Guevara would be a good idea. Galway City councillor Billy Cameron, in 2012, put forth the notion that a permanent memorial to Che Guevara was a good idea. The move received backlash from two members of the United States Congress and the Belfast Telegraph. The two Floridians, both Cuban-Americans, in Congress expressed outrage that an Irish community would foster a memorial that glorifies someone responsible for so many deaths. The Telegraph stated that Irish tourist sites should have nothing to do with a cold-blooded killer and murderer. Keep in mind, Belfast was a flashpoint for IRA violence against British troops until peace finally came to the island. It’s one thing for lawmakers in a foreign country to talk about the distasteful idea for a Che Guevara statue in Ireland, but it’s something totally different when the major newspaper in Belfast speaks out against the move. Plans for the statue were scrapped, although organizers still plan the festival each year. In September 2013, the Clare County Council ordered the removal of a 20-foot-tall mural depicting Guevara after American tourists became upset and left the town. The mural showed the famous pose of Che Guevara, done in 1960, that shows his wavy hair, beard, moustache, beret and the stern look of determination on his face. It’s the same artwork that adorns T-shirts worn by Johnny Depp and Prince Harry. Even 50 years after his death, Guevara is still a controversial figure. His rebellious nature would be defiantly proud. How Did Che Guevara Influence History? 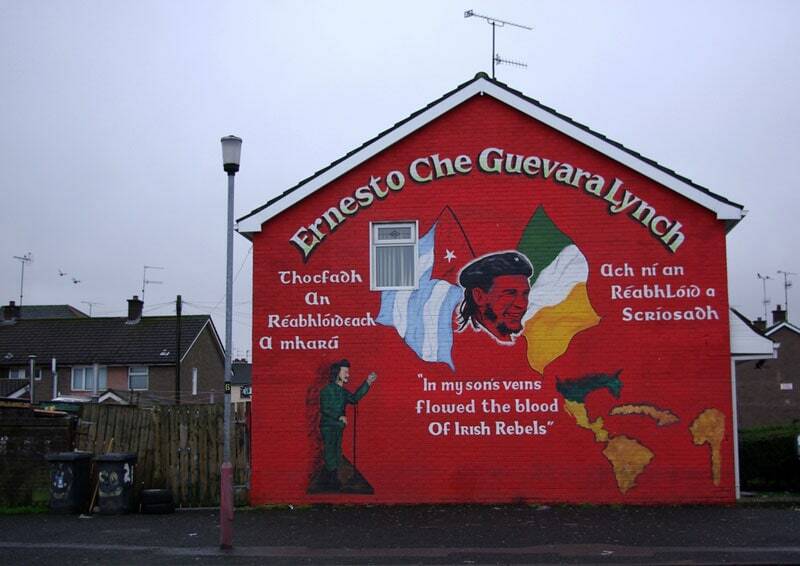 Che Guevara Irish roots run deep. He was literally a man of two worlds. His ancestors were Irish, and his father maintained the Irish family name that Che eschewed during this rebellion. Che Guevara read books and kept philosophical notes, yet he took up arms against the sitting government of Cuba. Guevara wasn’t even Cuban by birth, but he most certainly came from a bloodline of rebellious ancestors from both Ireland and Argentina. There are no permanent, physical memorials of Che Guevara in his ancestral homeland, although his family owns and maintains a house in Galway. Perhaps Che Guevara Lynch doesn’t need a physical memorial. Despite the controversy surrounding his brutal methods and murders, millions of people around the world idolize the man with rebellion in his blood. No one can take back the Cuban Revolution that helped bring about. It wasn’t until 2015 that the Castro regime lightened enough to allow normal relations with the United States. Regular flights from Miami to Havana began a year later after more than 50 years of absence. Perhaps, since modern humans in democratic societies, learned their lessons from the strife and conflict of the 1950s and 1960s, images of Che’s defiant face are more symbolic than they are literal. People rebel in ways that have nothing to do with violence. People stand up to injustice by peacefully protesting, boycotting, writing to lawmakers, casting votes and speaking their minds. These individual acts of rebellion are especially important in parts of the world where these rights are not protected. It’s in these shattered corners of the world, under the rule of dictators and hard-line regimes, where the spirit of Che Guevara is needed most. 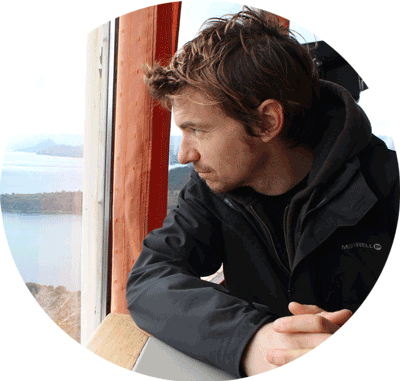 Location You is a blog about travel, lifestyle design, culture, and digital nomadism. Guevara was a white man, the famous poster show him as a brown individual to appeal to the masses of South American poor.